Boy, you are a walking and talking machine… two hours on one flash card, 16GB amazing…. I do have the Canon 17-55 EFS Lens… that is probably the reason why I got the 7D because it was compatable…love that lens… IS is great… I’ll be trying your suggestions out…. hope I can reset the focus points like you did….I’ll let you know after I receive the camera tomorrow. Thanks again, is it Charles? Actually, it was two maxed out 16GB CompactFlash cards. I stopped only because I could not fit any more ;). Good luck with the 7D! It’s easy to set the AF Points. Just follow my article and let me know if you have any questions. but I think I’m getting the hang of it… only had it a few hours…took about two hours for battery to charge… What is this firmware you have talked about….does that come with a flash card or something and for what purpose is it…. thank you for all your help in advance too! Do you have a card reader? I never download the files direct from the camera. Better to use a card reader to copy the files direct to your hard drive. Did you upgrade Adobe Camera Raw to 5.7 (for Photoshop CS4)? Check the Adobe site and download. 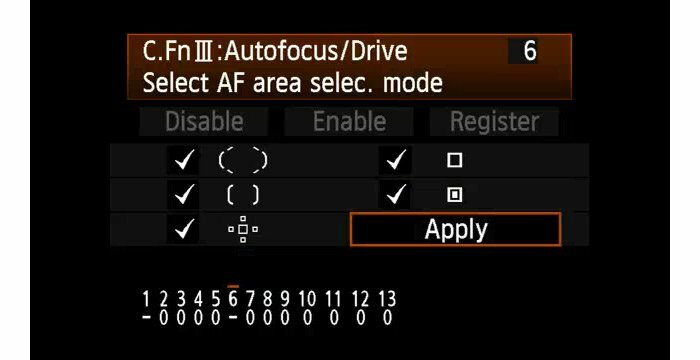 ACR 5.7 will read the CR2 files from the 7D. There is no image preview because Adobe builds them once it reads the file. Your 7D should already be at Firmware 1.2.2 which was released in July 2010.
that I won’t be able to get my pics to edit…and the woman will have come here for nothing…or do you think I’ll eventually be able to get them…..Okay I’m upgade adobe camera raw to 5.7…. I clicked on Adobe link you sent me, but I don’t see what you want me to download ACR 5.7 — I’m sorry to bother you….but I’m going into panic mode….here…. You’re probably sick to death of my questions…. Okay, I downloaded ACR5.7 which said it was supposed to covert to the dng files for windows… I don’t have dream whatever that program is called, but nothing changed I still see the cr2 files… now it is possible I didn’t download to the right area… I just clicked on Adobe cs4 and did it there… didn’t send to anything like presets etc…stillhanging here…. Are you on a PC or Mac?? PCs still treat the files as just CR2. Try opening the files in Bridge CS4. With ACR 5.7 installed, it will correctly read the files. I use Bridge to review all 7D Raw files. You can tweak the Raw settings in Bridge or double click to launch Photoshop. It sounds like you need to reinstall Phototshop CS4. Are you running Windows 7? Did you have a problem installing it? Bridge CS4 will read the 7D Raw files. But, if you are still worried, shoot RAW+JPEG. Set this in the Menu. The button on the back will only work for one shot at a time. I tried doing both raw and jpeg and the jpegs came out so blurred… so far I find the pics are soft not as crisp as I’d like them… but I know I haven’t had any time to perfect and find out what works great for face shots even in a body shot…. close ups head shots I’ll focus on the eyes….but body shots like you the expansion and zone focus…at least I now have that adjusted…. Your Antivirus program could be causing the problem with the install. I vaguely remember having to disable Norton when I installed CS4. Otherwise, you may want to do a complete uninstall, reboot and re-install. If you do, be sure to deactivate your copy of CS4 first. As for focusing, Spot AF is going to be the most precise. But, don’t forget, you are almost doubling your resolution from the 30D to the 7D. It could be that the increased resolution is doubling the softness in your images which may have been acceptable on the 30D. The 7D forces you to be much more precise in your AF aim. I think and pray they all turned out great for her….we’ll see – hopefully when I get ready to upload them into PS I won’t have problems since they are jpegs…. Glad you made it throught he shoot! Shame you did not get to use the 7D but there is always next time. Better to get in some more play-time than to jump into a trial by fire. There is a lot to get a handle on in the 7D that is not in the 30D. If it isn’t your anti-virus program, the only other thing I can think of is that you have various Adobe components running which would prevent the program from fully installing. It won’t let you install/reinstall if you have thinks like Bridge, Acrobat or other Adobe CS4 components running in the background. Try doing a Control-Alt-Delete to pull up Task Manager and take a look at the Programs running. If you do not see any Adobe programs, i think you will need to call Adobe to fix this situation. It should be a free call for installation issues. Sundays double photo shoot…I cannot believe what I just did, thought I was shooting in JPEG since I can’t as of yet retrieve RAW files…in cs4…and both photo shoots today (Family thank God) well one was of a little girl…not family…but friends thereof…after they left I was eager to look at them and staring me in the face was the word RAW….OMG, I sure hope I can now get this adobe photoshop cs4 to turn my photos into the raw format…don’t know how I’ll get them if I can’t…. You have to call Adobe to resolve the problem with CS4. They used to have Weekend support, not sure if they still do. Otherwise, install Canon’s Digital Photo Professional (on the CD that came with your 7D). It may not be very user-friendly, but it does a great job at processing 7D Raw files. Sounds like time for a new computer 😉 I started using Pinnacle’s Studio HD for my Canon 7D videos. Since I upgraded to CS5, I have been using Premiere Pro CS5 and After Effects CS5 exclusively. I have tutorials for both on my blog. Oh my head hurts from all this knowledge…but a good hurt…;-) Okay I went back and realized I was trying to bring the raw files up in the wrong editor….I did it, by george I did it… and sent them over to CS4 with no problems…. still going to call adobe tech to get that working too…. so, I’m learning the camera quickly and figuring out this program stuff…. as soon as I settle I’ll start thinking about the video… can’t wait to see what will come from that….now I’ve got three photo shoots to edit…thanks again for being so helpful….I know I’ve been a pain in the neck….but I must tell you with no one to talk to, it is refreshing to talk with someone who knows…God Bless! Happy to help! Plenty of info on Canon 7D here, just click the 7D icon on the left. Hello…I recently began shooting Pin-up Style Pictures ( mainly indoor), and I am camera challenged, I bought the 7D to further my passion of photography…Im so lost. Is there a particular setting for indoor or night shooting?…. Thank you so much for any information you have. Well, you have several options available, depending on your comfort level. The simplest method would be to leave the Canon 7D in P-mode (Program) and push the ISO to 1600. That should be plenty of light for a typical indoor room with good light. P-mode does not automatically trigger the pop-up flash. Noise levels will also be very acceptable. You can also try using the CA-mode. Use the Q-button on the back of the camera (in the upper left corner) to enable changes and then move around the screen using the little joystick (Multi-control) and the large thumb dial. Using the Smooth-skin tones mode might work well for you. The 7D does not have special modes for night shooting or indoor shooting like the 50D/60D and Rebel series. But, if you think about what you want to accomplish, you can still get great shots. If you are using Photoshop, you should also shoot RAW which will allow you to make adjustments to the image without another level of processing and image compression. Congratulations on you new 7D! I am also on Facebook. Please let me know if you have any questions! I came home and searched and found this site…. I changed the settings as you instructed, and took some sample shots and OMG HUGE difference!!! THANK YOU AGAIN! I had the same experience moving from the 40D to the 7D. Happy to help! But, be sure to click the 7D Tips & Tutorials banner on the top left of this page. It is a collection of my best articles on the Canon 7D. YES! You are absolutely right – the 7D 19-point auto focus is miserable even with excellent light. My 7D shows the “selected” points right where I want them but still focuses poorly over the whole frame. The Zone AF is better but still soft. I find the ONLY good focus with this camera is using AF Expansion – that works fine. I’ve used this camera for a year and this seems to be a “new” issue and I’ve had several shooting sessions that were a total loss because of it. It is a problem with every lens I have. 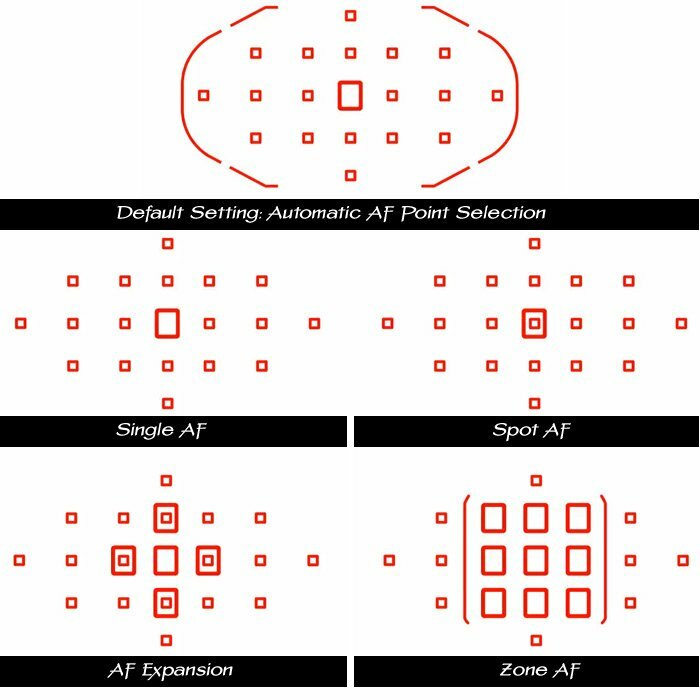 But using it on AF Expansion with the ability to quickly change the location of the AF zone looks like a practical workaround. PS – I also downloaded the newest firmware and did a battery-out reset as you suggested but that did not help with the Automatic AF point selection mode. 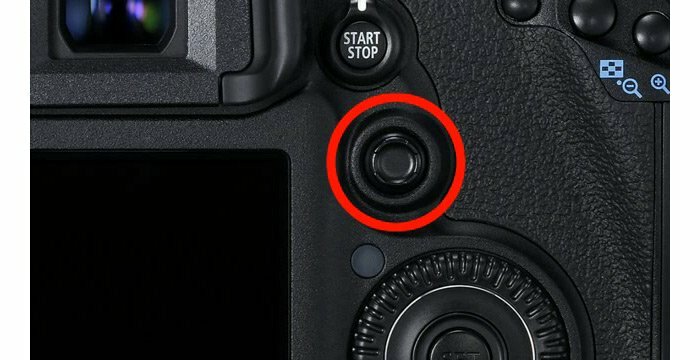 The link at the bottom of the article for Canon 7D Tips:Auto-focus not working? Check your settings. I have recently started reading your column, and I love the simple way it is written because things make sense.Believe it or not I have been in photography for over forty years, and I retired some time ago because my sixty five plus brain had trouble retaining information. I recently upgraded to 7D but I am having problems downloading my images with lightroom 3. When I try to download I see the image outline box with a check mark but no images. I did not have this problem with lightroom 2. I never use the direct connection between the computer and the camera to transfer images. It is much faster and more reliable to pull the Compact Flash card from the camera and use a USB card reader attached to the computer. Take a look at the Kingstone 19-in-1 USB Hi-speed Reader with transfer speeds up to 480Mbps for under $13. On the Compact Flash card, the photos are located in a subfolder DCIM > 100EOS7D. Open this folder and drag them to a folder on your computer. I keep my photos organized by YEAR > EVENT (ex. 2011 > Fall Fashion Week 1). Trouble with AF focusing???? You are not alone!!! I could not understand why the autofocus was so crappy on the 7D. It’s a big relief to have found your page, am looking forward to better pictures now. Thank you for posting this information. I am trying your recommended settings as I am at the point of selling my 7D (purchased early 2012) and 17-55mm lens. I have used my boyfriend’s 5D2 at the last couple weddings I’ve shot due to my dissatisfaction with the soft/oof output of the 7D. Used both cameras in good light at a beach wedding this past Sunday. 85-90% of photos from 5D2 were keepers, only 60% from 7D. Hopefully these settings will help – otherwise this camera will be visiting Canon and/or finding a new home. Again, thank you – I hope this info saves my camera! Why has it taken me two years to find how to get a little box with a dot in it in my viewfinder? Your clear guidance and pictures meant that I came back from an hour’s photography this morning and only had to discard 50% of my shots instead of the usual 99% and there were even a couple that I might not have to edit. Thanks, may all your photos turn to gold. This seems to be working for me when my subject is sitting still. but if the is any movement at all, little kids or pets, my focus can’t be maintained? What am I doing wrong?